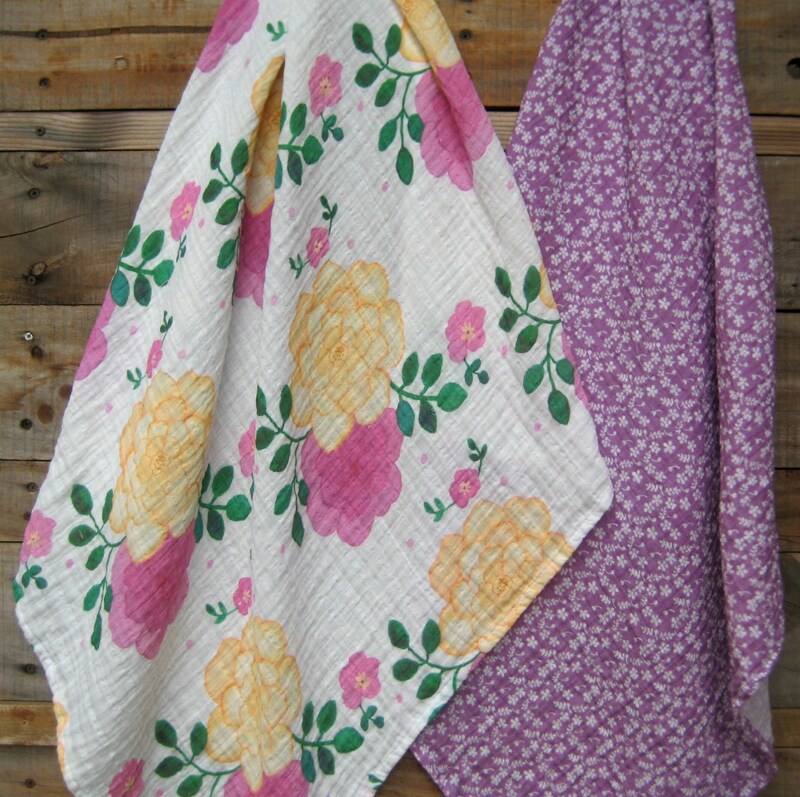 Floral design from original watercolor printed on soft lightweight organic cotton gauze, perfect for swaddling little ones. 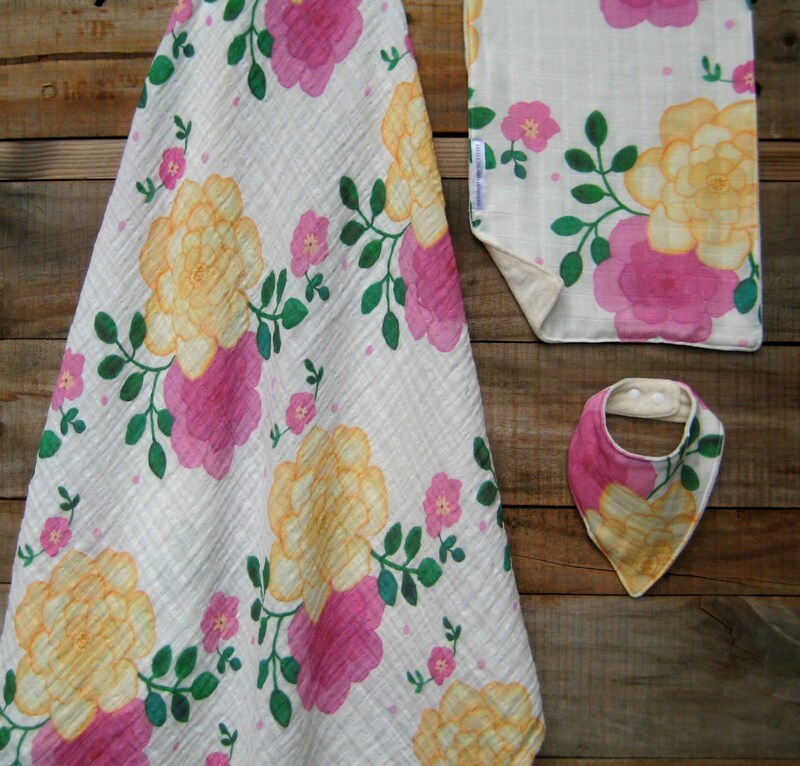 Three piece gift set for new baby includes swaddle blanket (36X36), adjustable scarf/drool bib with soft organic bamboo terry on reverse side, burp cloth (10X18) with organic bamboo cotton terry on reverse side. 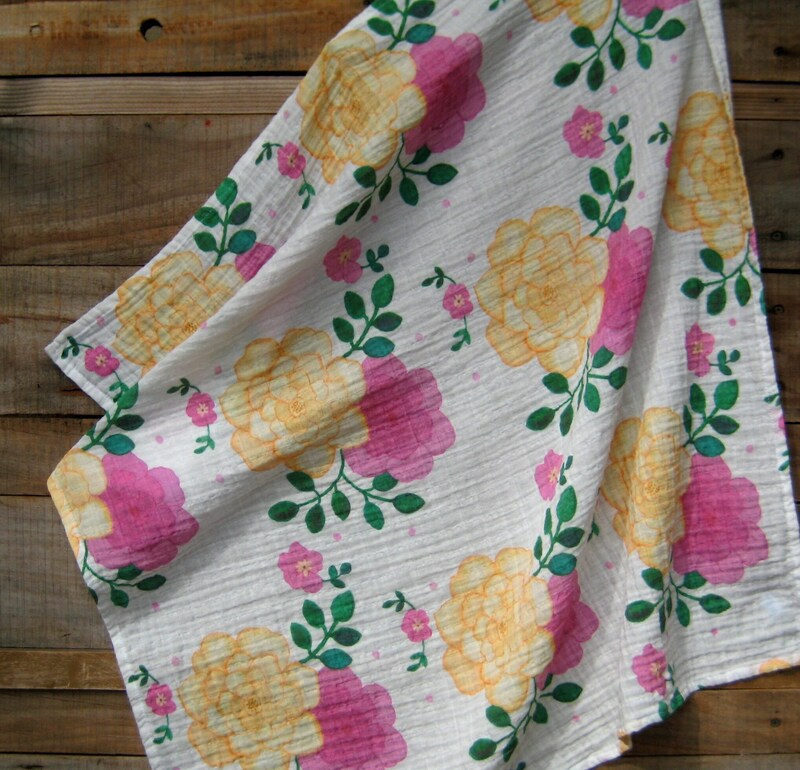 Flower colors are dusty rosey mauveish, and gold cream tones.